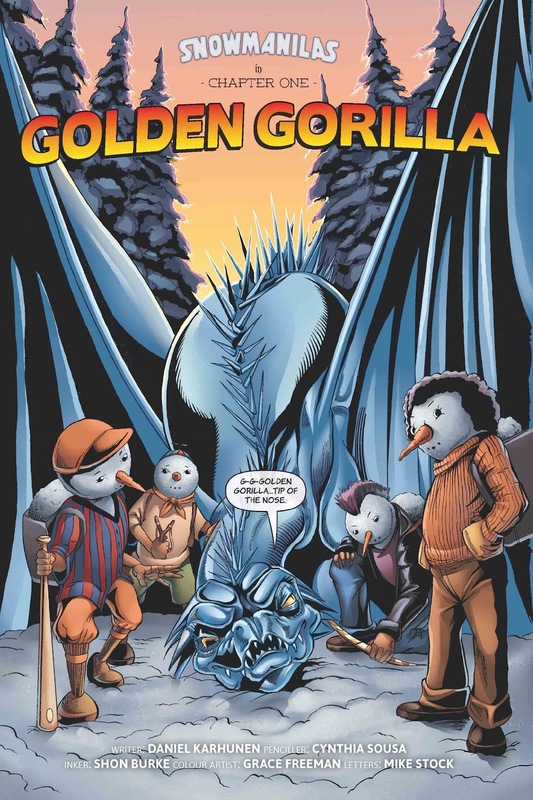 Markosia Enterprises is currently publishing both the print and the digital versions of the all-ages treasure-hunting adventure Snowmanilas graphic novel. 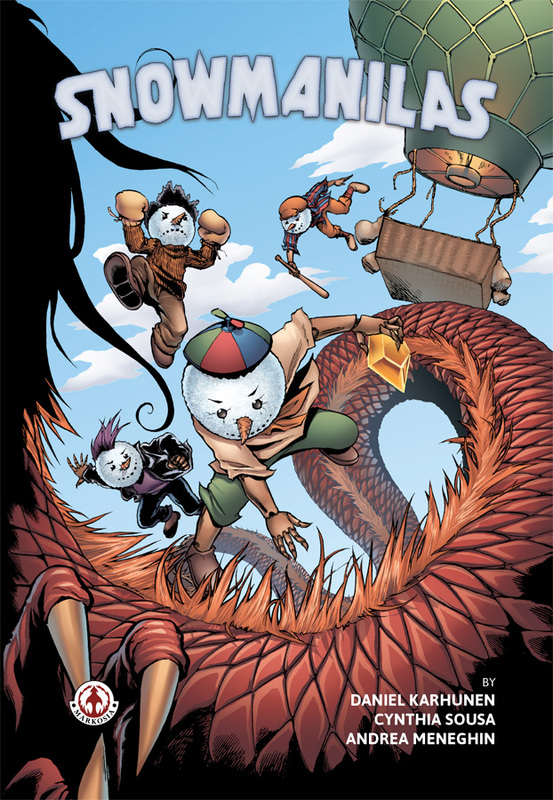 The main characters are the four young snowman brothers who are Punkster the cool-headed oldest brother who leads this group of courageous siblings, while Punkster's brother Rokyo the baseball fanatic can be useful for dangerous adventures when he is hitting big snowballs with his batting skills. Pop-Knock the toughest brother would rather think with his fists, while Wyo the smartest brother thinks with his head instead. 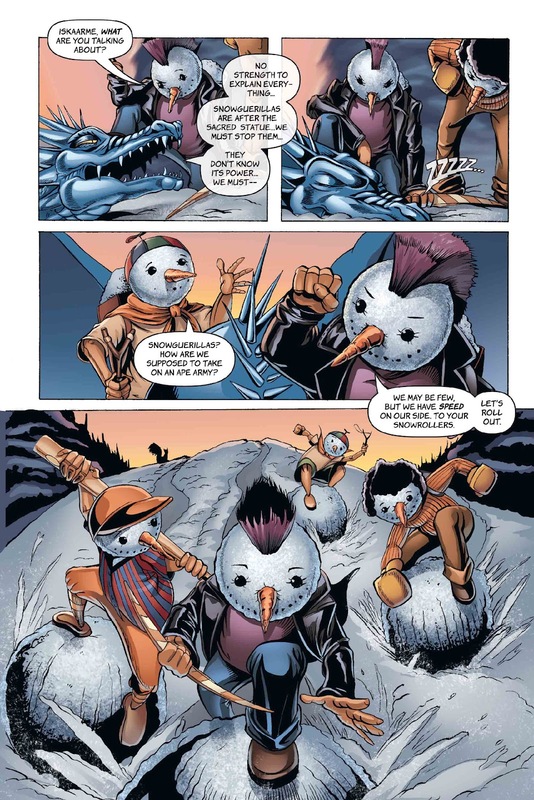 The four Snowmanilas brothers are trying to stop greedy anthropomorphic animals like a snowgorilla military unit, snowtiger pirates, a snowtiger mermaid or ninja sharks who don't understand that their greed could unleash instruments of destructions that could destroy their home planet, Snowmania. 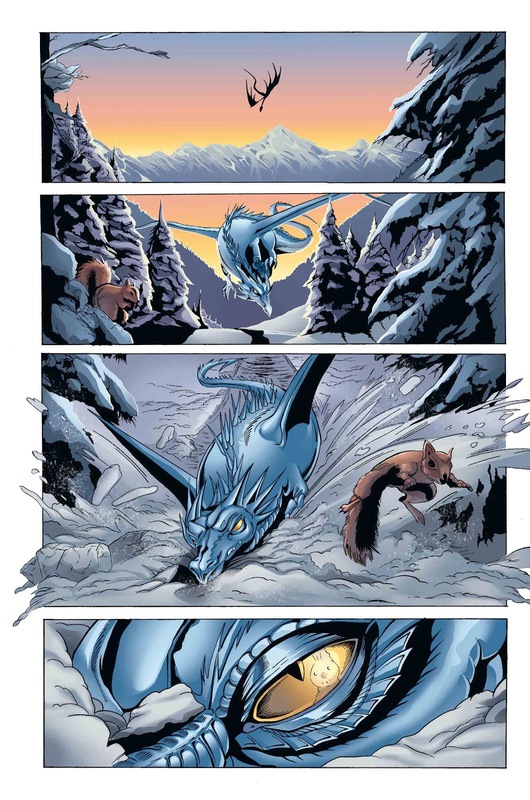 It doesn't matter if the Snowmanilas are facing dangerous obstacles via snowy land, ice cold water or up in the breezy air, because they'll stop at nothing to save their home planet. 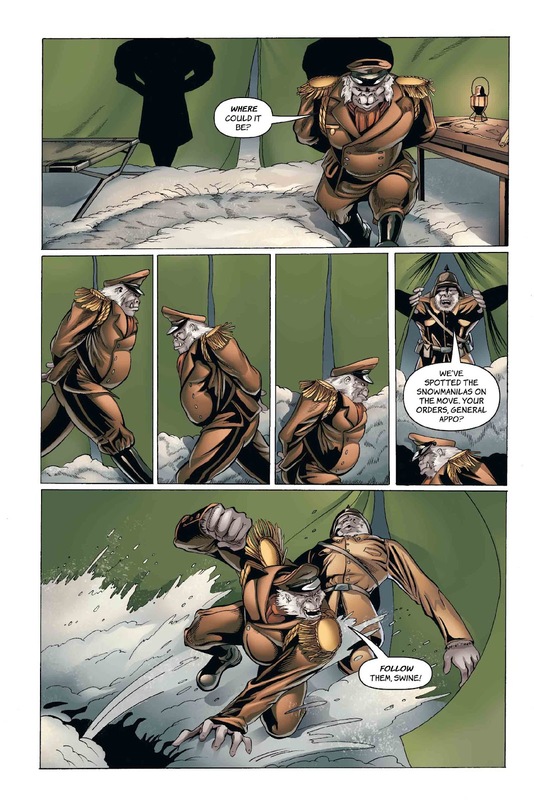 Swedish writer Daniel Karhunen wanted to create and write a book that is a tribute to the snowy winter in his home country, his favorite childhood heroes the Teenage Mutant Ninja Turtles, the treasure-hunting adventure genre that is now connected with pop culture icons like Indiana Jones, Scrooge McDuck and many others. The American illustrator Cynthia Sousa Rodgers and the Italian illustrator Andrea Meneghin are the artists who provided with stunning artwork for this book, while some of the best Swedish artists Lisa Medin, Åsa Ekström, Hedvig-Häggman-Sund and Frida Larsson drew the front & chapter covers for this book. 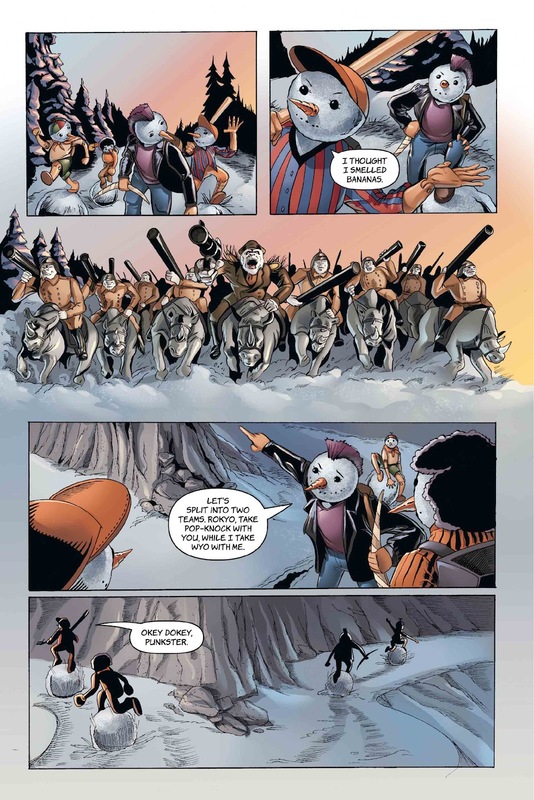 You can get the print version of Snowmanilas over at http://www.amazon.com/Snowmanilas-Daniel-Karhunen/dp/1909276197 and the digital version over at https://itunes.apple.com/no/book/snowmanilas/id896728937?mt=11 & https://www.comixology.com/Snowmanilas/comics-series/26586. You can also visit the Snowmanilas Facebook site over at https://www.facebook.com/snowmanilas?fref=ts.